"Domotic" redirects here. For the vernacular form of a language, see Demotic. "Smart house" redirects here. For the film, see Smart House (film). It has been suggested that SMART home technology be merged into this article. (Discuss) Proposed since February 2019. 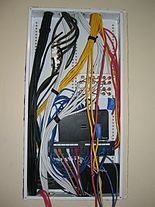 A home automation system typically connects controlled devices to a central hub or "gateway". The user interface for control of the system uses either wall-mounted terminals, tablet or desktop computers, a mobile phone application, or a Web interface, that may also be accessible off-site through the Internet. While there are many competing vendors, there are very few worldwide accepted industry standards and the smart home space is heavily fragmented. Manufacturers often prevent independent implementations by withholding documentation and by litigation. The home automation market was worth US$5.77 billion in 2013, predicted to reach a market value of US$12.81 billion by the year 2020. Early home automation began with labour-saving machines. Self-contained electric or gas powered home appliances became viable in the 1900s with the introduction of electric power distribution and led to the introduction of washing machines (1904), water heaters (1889), refrigerators, sewing machines, dishwashers, and clothes dryers. In 1975, the first general purpose home automation network technology, X10, was developed. It is a communication protocol for electronic devices. It primarily uses electric power transmission wiring for signalling and control, where the signals involve brief radio frequency bursts of digital data, and remains the most widely available. By 1978, X10 products included a 16 channel command console, a lamp module, and an appliance module. Soon after came the wall switch module and the first X10 timer. By 2012, in the United States, according to ABI Research, 1.5 million home automation systems were installed.. As per research firm Statista  more than 45 million smart home devices will be installed in U.S. homes by the end of the year 2018. The word "domotics" (and "domotica" when used as a verb) is a contraction of the Latin word for a home (domus) and the word robotics. Heating, ventilation and air conditioning (HVAC): it is possible to have remote control of all home energy monitors over the internet incorporating a simple and friendly user interface. Lighting control system: a "smart" network that incorporates communication between various lighting system inputs and outputs, using one or more central computing devices. Occupancy-aware control system: it is possible to sense the occupancy of the home using smart meters and environmental sensors like CO2 sensors, which can be integrated into the building automation system to trigger automatic responses for energy efficiency and building comfort applications. Appliance control and integration with the smart grid and a smart meter, taking advantage, for instance, of high solar panel output in the middle of the day to run washing machines. 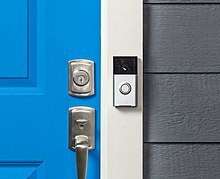 Home robots and security: a household security system integrated with a home automation system can provide additional services such as remote surveillance of security cameras over the Internet, or access control and central locking of all perimeter doors and windows. Technology is still in its infancy, and consumers could invest in a system that becomes abandonware. 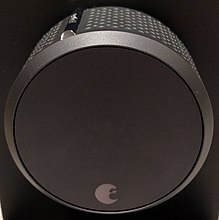 In 2014, Google bought the company selling the Revolv Hub home automation system, integrated it with Nest and in 2016 shut down the servers Revolv Hub depended on, rendering the hardware useless. Microsoft Research found in 2011, that home automation could involve high cost of ownership, inflexibility of interconnected devices, and poor manageability. Historically systems have been sold as complete systems where the consumer relies on one vendor for the entire system including the hardware, the communications protocol, the central hub, and the user interface. However, there are now open hardware and open source software systems which can be used instead of or with proprietary hardware. Home automation suffers from platform fragmentation and lack of technical standards a situation where the variety of home automation devices, in terms of both hardware variations and differences in the software running on them, makes the task of developing applications that work consistently between different inconsistent technology ecosystems hard. Customers may hesitate to bet their IoT future on proprietary software or hardware devices that use proprietary protocols that may fade or become difficult to customize and interconnect. ^ a b Hill, Jim (12 September 2015). "The smart home: a glossary guide for the perplexed". T3. Retrieved 27 March 2017. ^ "Best Home Automation System - Consumer Reports". www.consumerreports.org. Retrieved 2016-02-14. ^ Abreu, Vilmar; Santin, Altair; Xavier, Alex; Lando, Alison; Witkovski, Adriano; Ribeiro, Rafael; Stihler, Maicon; Zambenedetti, Voldi; Chueiri, Ivan (2018). "A Smart Meter and Smart House Integrated to an IdM and Key-based Scheme for Providing Integral Security for a Smart Grid ICT". Mobile Networks and Applications. 23 (4): 967–981. doi:10.1007/s11036-017-0960-4. ^ "5 Open Source Home Automation Projects We Love". Fast Company. 2014-12-01. Retrieved 2016-11-22. ^ Fahmy, Hossam Mahmoud Ahmad (2016). Wireless Sensor Networks: Concepts, Applications, Experimentation and Analysis. p. 108. ISBN 978-9811004124. The use of standardized, with open standards over proprietary protocols provides the industry with the freedom to choose between suppliers with guaranteed interoperability. Standardized solutions usually have a much longer lifespan than proprietary solutions. ^ "Research and Markets: Global Home Automation and Control Market 2014-2020 - Lighting Control, Security & Access Control, HVAC Control Analysis of the $5.77 Billion Industry". Reuters. 2015-01-19. Archived from the original on 2016-05-05. ^ Home Automation & Wiring (1 ed.). New York: McGraw-Hill/TAB Electronics. 1999-03-31. ISBN 9780070246744. ^ Rye, Dave (October 1999). "My Life at X10". AV and Automation Industry eMagazine. AV and Automation Industry eMagazine. Archived from the original on September 30, 2014. Retrieved October 8, 2014. ^ "1.5 Million Home Automation Systems Installed in the US This Year". www.abiresearch.com. Retrieved 2016-11-22. ^ Li, Rita Yi Man; Li, Herru Ching Yu; Mak, Cho Kei; Tang, Tony Beiqi (2016). "Sustainable Smart Home and Home Automation: Big Data Analytics Approach" (PDF). International Journal of Smart Home. 10 (8): 177–198. doi:10.14257/ijsh.2016.10.8.18. ^ Preville, Cherie (26 Aug 2013). "Control Your Castle: The Latest in HVAC Home Automation". ACHRNews. ACHRNews. Retrieved 15 Jun 2015. ^ Asadullah, Muhammad (22 Dec 2016). "An Overview of Home Automation Systems". Conference Paper. IEEE. Retrieved 22 Dec 2016. ^ Jin, M.; Jia, R.; Spanos, C. (2017-01-01). "Virtual Occupancy Sensing: Using Smart Meters to Indicate Your Presence". IEEE Transactions on Mobile Computing. PP (99): 3264–3277. arXiv:1407.4395. doi:10.1109/TMC.2017.2684806. ISSN 1536-1233. ^ Jin, M.; Bekiaris-Liberis, N.; Weekly, K.; Spanos, C. J.; Bayen, A. M. (2016-01-01). "Occupancy Detection via Environmental Sensing". IEEE Transactions on Automation Science and Engineering. PP (99): 443–455. doi:10.1109/TASE.2016.2619720. ISSN 1545-5955. ^ Berger, Lars T.; Schwager, Andreas; Pagani, Pascal; Schneider, Daniel M. (February 2014). Smart Grid Applications, Communications, and Security. Devices, Circuits, and Systems. CRC Press. ISBN 9781466557529. ^ "Tips: Smart Appliances | Department of Energy". energy.gov. Archived from the original on 2015-09-29. Retrieved 2016-04-20. ^ Griffiths, Melanie (June 2016). "Smart Home Security". Homebuilding & Renovating. Retrieved 27 February 2012. ^ "Nest Protect | Smoke and CO Alarms - Consumer Reports News". www.consumerreports.org. Retrieved 2016-04-20. ^ "Nest Protect | Smoke and CO Alarms - Consumer Reports News". Retrieved 2016-11-22. ^ "Sure Flap - Smart Cat Flap Coming Soon! - News - Smart Home Geeks". Smart Home Geeks. 2017-04-06. Retrieved 2017-08-11. ^ Kamel Boulos, Maged N; Al-Shorbaji, Najeeb M (2014). "On the Internet of Things, smart cities and the WHO Healthy Cities". International Journal of Health Geographics. 13 (1): 10. doi:10.1186/1476-072x-13-10. PMC 3987056. ^ "Best Home Automation System - Consumer Reports". Retrieved 2016-11-22. ^ "Google's parent company is deliberately disabling some of its customers' old smart-home devices". Business Insider. Retrieved 2016-11-22. ^ a b Brush, A. J.; Lee, Bongshin; Mahajan, Ratul; Agarwal, Sharad; Saroiu, Stefan; Dixon, Colin (2011-05-01). "Home Automation in the Wild: Challenges and Opportunities". Microsoft Research. ^ "IoT experts fret over fragmentation - Mobile World Live". Mobile World Live. 2016-02-25. Retrieved 2016-11-22. ^ "Fragmentation is the enemy of the Internet of Things | Qualcomm". Qualcomm. 2016-02-19. Retrieved 2016-11-22. ^ "Internet of Things: Opportunities and challenges for semiconductor companies". McKinsey & Company. Retrieved 2016-11-22. ^ "IOT Brings Fragmentation in Platform" (PDF). Retrieved 2018-03-19. ^ Steve Kovach (July 30, 2013). "Android Fragmentation Report". Business Insider. Retrieved October 19, 2013. 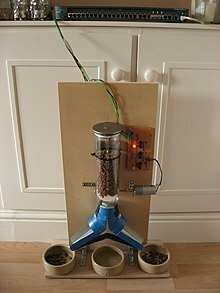 ^ "Who Needs the Internet of Things?". Linux.com | The source for Linux information. Retrieved 2016-11-22. ^ "21 Open Source Projects for IoT". Linux.com | The source for Linux information. Retrieved 2016-11-22. ^ Franceschi-Bicchierai, Lorenzo. "Goodbye, Android". Motherboard. Vice. Retrieved August 2, 2015. ^ Kingsley-Hughes, Adrian. "The toxic hellstew survival guide". ZDnet. Retrieved August 2, 2015. ^ Tung, Liam (2015-10-13). "Android security a 'market for lemons' that leaves 87 percent vulnerable". zdnet.com. ZDNet. Retrieved 2015-10-14. ^ Thomas, Daniel R.; Beresford, Alastair R.; Rice, Andrew (2015). Proceedings of the 5th Annual ACM CCS Workshop on Security and Privacy in Smartphones and Mobile Devices - SPSM '15 (PDF). Computer Laboratory, University of Cambridge. pp. 87–98. doi:10.1145/2808117.2808118. ISBN 9781450338196. Retrieved 2015-10-14.